When we were renovating our house I had these images in my ‘style book’ as inspiration for our bathroom. 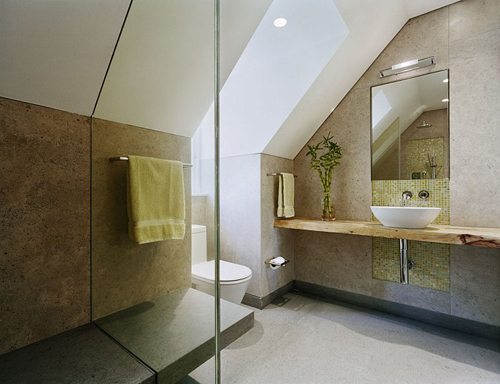 I wanted to created a similar serene atmoshpere and I liked the use of wood in this bathroom. We did not copy this bathroom though (our bathroom looks very different); I just used the images as inspiration to come to a certain style. 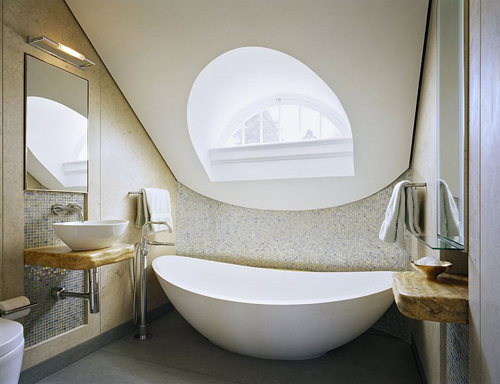 This bathroom is designed by New York architects Murdock Young for a house in the East Hamptons, USA. I completely agree. 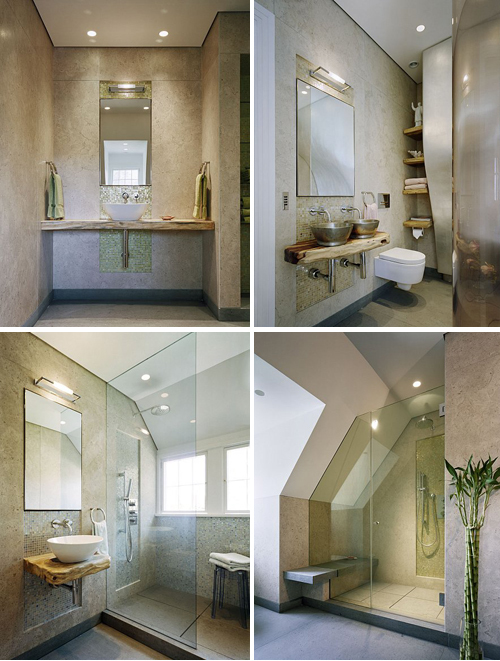 This bathroom makes me drool–it’s fantastic. Oohh That looks like a steam shower, how nice! Love that tub. Now I’m really curious as to how your bathroom looks like..
Pingback: Modern Bathroom Design as Tranquil Place to Freshen Up | Daily home decors | Daily Furniture Homes.